Welcome, it is our pleasure inviting you to the 21st International Bone Densitometry Workshop (IBDW) and the 7th European Symposium on Ultrasonic Characterization of Bone (ESUCB)..
it is our pleasure inviting you to the 21st International Bone Densitometry Workshop (IBDW) and the 7th European Symposium on Ultrasonic Characterization of Bone (ESUCB). The workshop will be held from June 26 to 30, 2017 in the Monastery Banz, Germany. It is our honor to host this symposium and to bring together academic and industrial researchers from all over the world to present scientific advancements in the assessment of bone and other musculoskeletal tissues. For the first time, the International Bone Densitometry Workshop will be conducted jointly with the European Symposium on Ultrasonic Characterization of Bone to open new dimensions in quantitative musculoskeletal imaging, to inspire new ideas and to initiate collaborations. 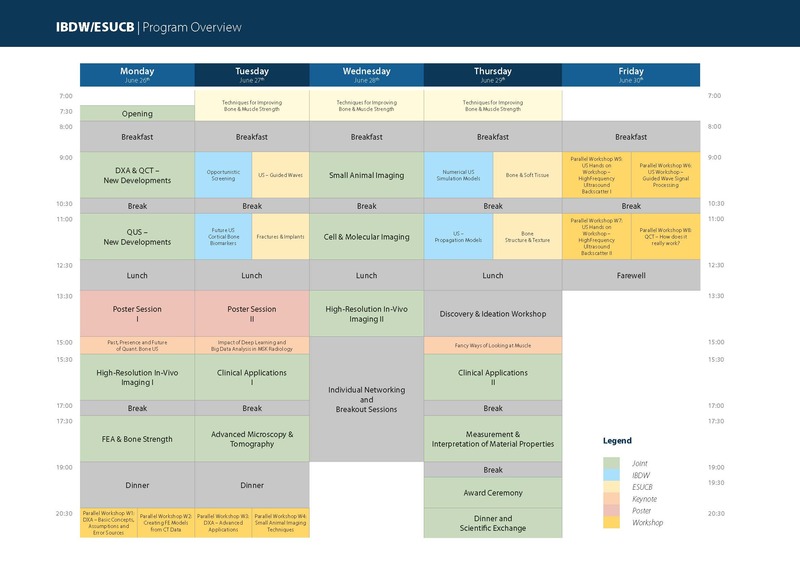 The scientific program topics include quantitative musculoskeletal imaging from the nanoscale to the whole body, from mouse to humans, from cells and tissue matrix to whole organs, multimodal imaging and advanced modeling, analysis techniques in musculoskeletal research and clinical routine to improve diagnosis, therapy control and therapeutic endpoint decisions. Banz Abbey (German: Kloster Banz) with its 900 years of history as a former Benedictine monastery, is located in the valley of the River Main in Upper Franconia in southern Germany. Founded in 1070 it served as a monastery for more than 700 years, it is now mainly used as a conference center (http://www.hss.de/bildungszentren/kloster-banz.html). In the spirit of a monastery - contemplation, discussion, scholarship, research and education - one focus of the workshop will be the promotion of young researchers. In addition to high-level scientific sessions to disseminate and discuss latest results and future directions, ample time between and after the scientific sessions will be reserved to promote informal discussion among scientists and young researchers. Moreover, a number of how to workshops that serve as introductions into various techniques used in the field will be organized. We look forward to seeing you in the Monastery Banz in 2017! Presentation Guidelines have been added. The abstract submission has been extended until 14th of March. For downloading the program you will need an Adobe Reader. We have received more than 120 registrations from participants worldwide. If you have not registered via our conference web page yet, please to do so prior to your arrival. This will ease the organization process and will ensure a fast check-in upon arrival. We will organize free minibus shuttle service from train stations Bad Staffelstein and Lichtenfels to the monastery Banz on Sunday afternoon until Monday morning, and to the next train stations on Friday. To enable this free service, please send your estimated arrival/departure schedule in advance to j.koschel@congress-compact.de. Please let us know, if you need further assistance to arrange your travel. Double rooms as well as a limited number of single and three-bed rooms are available for all attendees of the conference from Sunday, June 25 afternoon until Friday June 30 noon. The rooms are equipped “Abbey style” with bath room and desk. If you have not reserved a room through the conference web page yet, please do so at your earliest convenience. If you arrive already on Saturday, June 24, you can also stay at the monastery. Please let us know if you want to use this option. The final program is now available on the conference web page. A few co-chairs have yet to be determined. Casual dress for conference sessions and dinner. All conference attendees and guests have free access to in-house pool, spa, and bowling alley. The forest and river nearby are ideally suited to take a walk or to run. Don’t forget appropriate swim and gym suits. If you need special assistance or have other specific requirement for example concerning food, please send your requests in advance to j.koschel@congress-compact.de. Please be advised that due to the solid construction of the monastery, wireless access is limited and not available in most of the rooms. Free wireless internet access is provided in the lobby, lecture hall and seminar rooms. One seminar room equipped with tables will be accessible for those, who need to work online during the time of the conference. Be advised to bring some cash with you while staying at the abbey. Direct conference costs (registration/accommodation) can be payed by credit/debit cards, but you may need some cash for beverages / entrance to museum climbing park, etc. There is no ATM at the abbey. Type C, F power plugs (230V, 50 Hz). Bring appropriate adapters to use your electronic equipment. The “Bierstübla” in the basement of the abbey with a cash bar will be open to meet after the scientific session. Indoor pool, sauna, bowling, kicker, table tennis, and various gym facilities are available at no charge for all participants. Please bring appropriate swim and gym suits to use these facilities. An outdoor climbing park is just adjacent to the abbey (http://www.waldklettergarten-banz.de/). A public thermal bath and lake pool are located in Bad Staffelstein. Limited shuttle service will be provided. For detailed train connections and booking, visit German railways (Deutsche Bahn). Both destinations Lichtenfels and Bad Staffelstein are approximately 10 km away from the Monastery Banz. From station Bad Staffelstein or station Lichtenfels you should take a taxi. Please do not hesitate to contact us, if you need any help by planning your journey. In case of cancellation before March 31st, 2017, a cancellation fee of 50 € will be retained. Until May 1st, 2017, 50% of the total amount will be refunded. After that date or in case of no-show without cancellation, 100% will be charged. Cancellations require written form. For invitation letter for visa application, please contact us via email to info@ibdw-esucb-2017.de. Please send requests for a triple room to info@ibdw-esucb.de. We want you to consider that the hotel rooms in the monastery banz are reserved for the participants, speakers and exhibitors of the meeting and are connected with the participation in the conference. Windows PC laptops with stereo audio playback capability, computer projectors, and laser pointers will be provided in all lecture sessions. Mac laptops will not be provided. Any equipment other than PC computers with stereo audio playback capability, computer projectors, and laser pointers is “special equipment.” Requests for special equipment (e.g., special speakers, CD players) may be provided upon request and will depend upon availability and cost. Special software requests should also be made, if required. Authors are requested to use the provided PC laptop. No option will be provided for presenters to use their own laptops for presentations, including Mac laptops. Poster boards and fastening materials will be provided. Poster boards are DIN A0 format (~ 3 ft. wide by 4 ft. high). All posters will be on display from Monday until Friday. A PC laptop with stereo playback capability and projector will be provided in each meeting room on which all authors who plan to use computer projection will load their presentations. Authors should upload presentations from a USB drive and check proper functioning and appearance well before the start of their session (i.e., half a day before the session), and should arrive at the meeting rooms at least 5 minutes before the start of their sessions. Note that only PC format will be supported so authors using Macs must save their presentations for projection in PC format. Please note that your presentation has to be in an aspect ratio of 16:9. DXA is by far the most widely used technique to measure bone mineral density. The two workshops will provide in depth informatiThe first workshop focusses on the basic concepts, assumptions and error sources of DXA such as: What is BMD really? What are some of the key assumptions made by commercially available DXA scanners? What errors are frequently seen in the published literature that utilizes DXA? Given these facts, why is DXA widely used clinically? The target audience for the first lecture includes: the novice unfamiliar with DXA technique, the user who regards the DXA machine as a black box, and finally, those who just want to be able to critically read the peer-reviewed literature where DXA is employed in the research or pre-clinical setting. We are happy that the two workshops will be given by two of the world leading experts in the field. Kevin Wilson, PhD heads DXA development at Hologic and has been instrumental in the implementation and innovation of DXA technology over the last 20 years. John Shepherd PhD is a professor in Radiology and Biomedical Imaging at the University of California San Francisco. 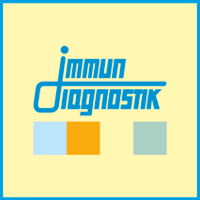 He has also been in the field for over 20 years developing novel applications and biomarkers using DXA technology. He has contributed/chaired scientific committees on DXA standardization, in depth technical reports on DXA for the ICRU and IAEA, and drafted ISCD positions for clinical use of DXA. He has published over 170 peer reviewed articles in the field, a Fulbright scholar and the most recent past President of the ISCD. Image based FEA modeling is a challenging task. Several key aspects like image processing, meshing, material mapping, and post-processing need to be considered. But also accompanying tasks, for example, data storage, creating workflows, scripting, and parameter studies are important in order to obtained validated FEA results efficiently. Within this workshop the software medtool (www.dr-pahr.at) will be used to show possibilities and solutions with respect to the above points. Applicants get access to the software as well as short examples for hand-ons. Today DXA is much more than BMD measurement of spine and hip. Advanced applications, the topics of the second workshop include the measurement of modeling of soft tissue and special regions like visceral and subcutaneous fat, special considerations for infants and children, finite element modeling, shape and appearance modeling, and even quantification of breast density. Thus, the second workshop is to fully understand the breadth of DXA capabilities for research. The workshop „Small animal imaging techniques“ will be moderated by Claus Glüer, PhD and Tobias Bäuerle, MD. The presenters will give an overview on multimodal techniques for small animal imaging including MRI, CT, PET, SPECT, ultrasound and optical imaging. Thereby, techniques and applications on musculoskeletal imaging will be explained and summarized with experience from the small animal imaging centers at the Universities Kiel and Erlangen, Germany. Single elements have been historically favored for the ultrasonic assessment of bone. However, the use of multiple elements array is starting to spread across multiple research groups of the community. The workshop will focus on using linear arrays connected to a multiple channel ultrasound scanner (Verasonics® Vantage, Verasonics, Seattle, WA), to record backscattered signals in the 4-7 MHz frequency range. We will show how to extract the incoherent contribution to the signals, and how, by exploiting multiple scattering, which occurs in this higher frequency range, some parameters of the micro-architecture can be retrieved. We will present examples on bone phantoms, and on real bovine bone. Guided waves can be found in a variety of domains such as musical instruments, optical fibers or underwater acoustics. In these cases, waves are propagating in a bounded medium and thus, the different reflections or paths interacts to to create interference patterns leading to guided waves. Measurements of such waves together with appropriate waveguide modeling have therefore the potential for providing estimations of both geometric and elastic properties of the waveguide. This point of view is currently applied for in vivo cortical bone assessment, using axial transmission technique. In this configuration, ultrasonic transmitters and receivers are aligned with the bone axis. The workshop will be illustrated with experimental examples. Results measured on human bones will be presented. W8 QCT - How Does It Really Work? QCT is a 3D imaging technique to quantify BMD, geometry and is also the basis for FE analysis. This workshop will concentrate on specifics and limitations of QCT such as BMD calibration, influence of CT acquisition and reconstructions parameters on accuracy and precision of the impact of marrow fat. It will revisit the impact of segmentation and spatial resolution on cortical parameters such as thickness and porosity. It will briefly discuss dual energy options and will review and put in context approaches of opportunistic screening. This workshop will be interactive to reflect and discuss results presented during the conference. The potential QCT in OA and RA and in muscle imaging are advanced topics. The workshop will be given by Klaus Engelke, who has more than 25 years in Micro-CT and QCT technology and in musculoskeletal imaging processing. The Industry is invited to support our initiative and this important event. We are looking forward to provide you with further information on the options of sponsorship. We thank all our sponsors for their support! Applications for student travel grants will be closed on May 21, 2017. Notifications of decisions will be send out on May 31. Travel support is intended for students who do not have sufficient funding to attend the IBDW/ESUCB meeting otherwise. Postdocs and other professional researchers cannot be supported. Applicants should be both, the primary author and the presenter for at least one accepted IBDW/ESUCB paper. All co-authors of the paper should be in agreement that you are the primary author. All student travel award recipients are required to register and attend IBDW/ESUCB 2017. The support will be given as partial or full reimbursement of registration and accommodation expenditures. Depending on the funding sources, priority may be given to students from developing countries and overseas. However, applications are also open to students from other countries. Please send your application to Janine Koschel (j.koschel@congress-compact.de). She will also be the primary contact, if you have any further questions.